Here is a simple method that I have found, while searching on the web. Begin by taking her name, and removing any redundant letters, to achieve the "key letters". Then, if you have any "I"'s that can collapse into another letter that has a central stem, (like a "T" or an "L") then you collapse it in, leaving you with the bones of your sigil. See below. Then take the "bones" or main constituents of the sigil, and use your creativity. For this example, I will flip the T upside down, so that I can merge the L with it, and then put a stylized small "h" protrud...ing from the central column. 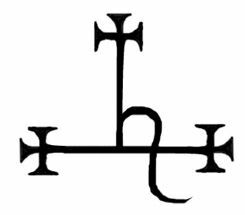 I will "grimoire-ize" the sigil by placing solar crosses at the end of each straigh line in the sigil, leaving the "h" alone, yielding this. 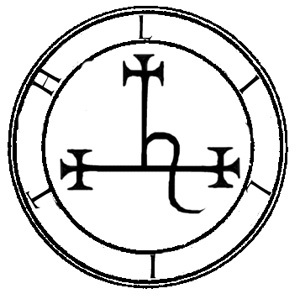 Then you toss a circle around it, with Lilith's name evenly spread around the insides of the circle, and you are finished. The Authors of the Goetia would be proud. 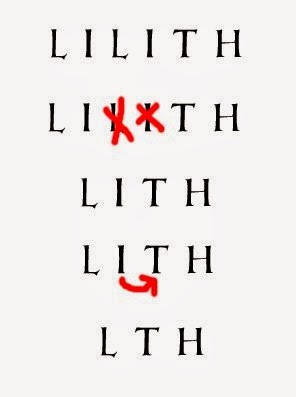 Your new sigil has all of the lines and curves needed to yield the name "LILITH"- take your finger and trace the different letters of her name on the sigil's face. It has all you need. Now, when you look at it, you don't see a symbol that is obviously letters stacked, because you have added enough ornamentation and collapsed enough letters. But your deep mind immediately assembles "LILITH" out of it. 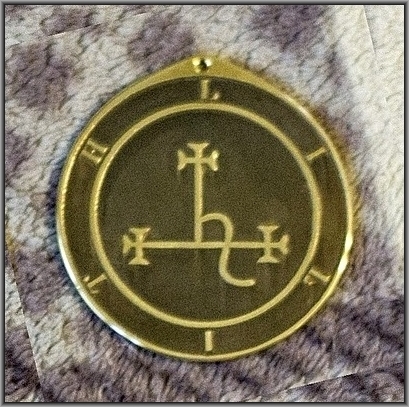 The longer you meditate on this sigil NOT as a letter-built sigil but as a unique standing symbol of the Spirit Lilith, the more powerful it will become. Is this sigil ancient ? No, it may in fact be the world's newest sigil. But that doesn't matter. Lines, shapes, circles, letters, geometry, creativity... all these things are ancient and universal aspects of the world-mind and the human mind. Together with intention, they channel, they create changes. 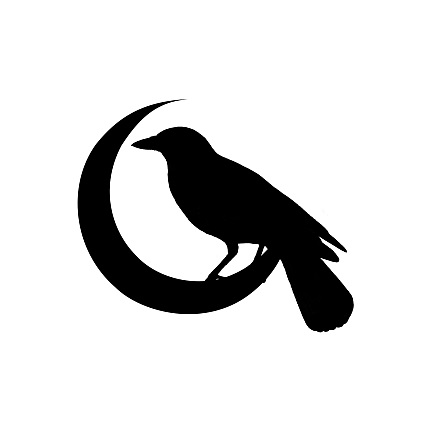 Like all self-engineered magical tools or words, any sigil becomes as powerful for you, if you integrate it into your magical worldview, as any sigil ever used in any time or place.